Here at Dance Unlimited we want every child to be confident, happy and discover the love and joys of dance. With small class sizes, interactive lessons with stickers, fairy wands and scarfs for our youngest dancers we believe we are Sheffield’s leading pre school dance provider. We pride ourselves on delivering fun, creative and interactive lessons, where our pre school students are encouraged to make friends, express themselves and even tell us what colour pony they will ride that lesson! We have been known for having a ‘magic touch’ when it comes to turning a shy child who will not leave mum and dads side into a confident dancer who bounds into our studio with a massive smile on their face in just a few weeks. The classes we offer for this special and enchanting age group are below; to book your completely FREE taster class, use the contact form here. 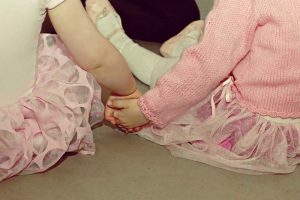 Our Twirling Tots class is a ‘mummy & me’ class for those eager tots who just love to dance but aren’t quite old enough for a class by themselves. Our Twirling Tots class is designed to introduce your little one to the magical world of dance, music and storytelling. Each week they’ll twirl through a dance and music adventure that will put a bounce in their step and a smile on their face. A fun class perfect those energetic tots aged 18 months – 2 years 10 months. Dance Unlimited is Sheffield’s only Angelina Ballerina Dance Academy. 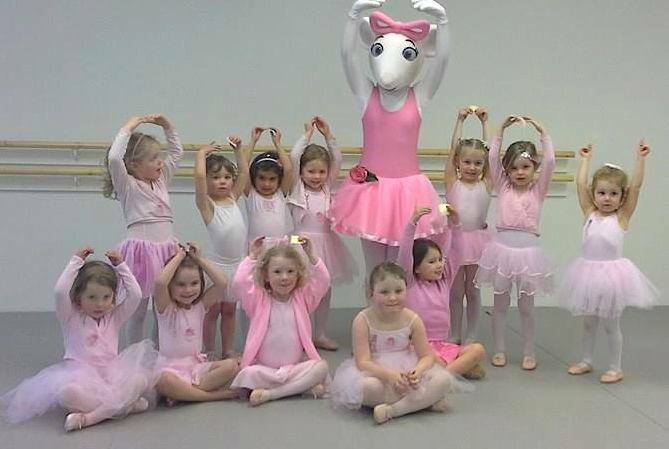 Our classes are fun, story based ballet dance classes that follow the stories of Angelina Ballerina and her friends and by encouraging your budding ballerina to explore their creativity they’ll blossom before your eyes. We limit our class sizes to 12 children to ensure each child receives individual attention and corrections as well as keeping a personal atmosphere. We also have a visit from Angelina Ballerina once a term as well as stickers, gifts and regular parent viewing classes and bring a friend days. A truly magical first encounter with ballet. Classes can be taken from 2 years 10 months old.